A custom quick install bracket kit significantly reduces the time to install your fifth wheel rails. In most cases, the custom brackets match up with pre-existing holes in your truck frame. This eliminates the guess work of installing just a rail kit by itself. 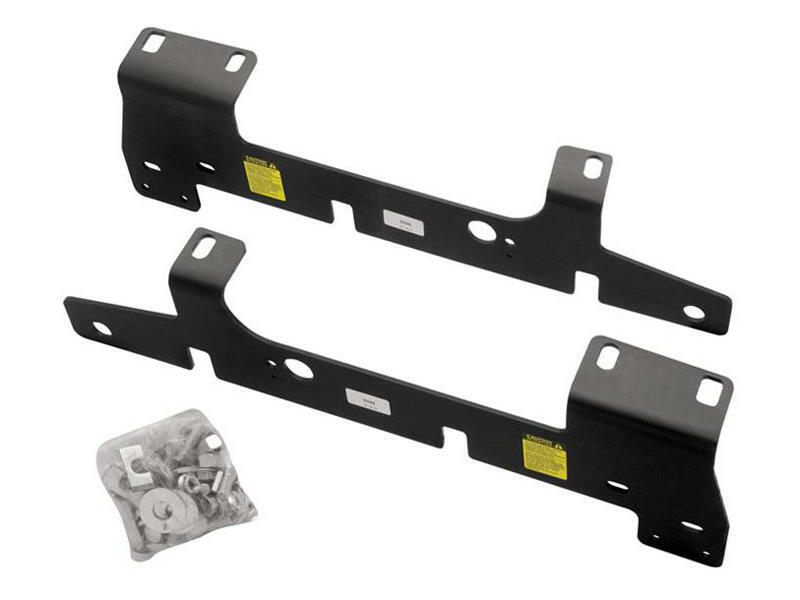 PLEASE NOTE: The hardware included with this Quick Install Bracket Kit is only used to attach the brackets to the vehicle frame. It does NOT include the hardware necessary to attach the fifth wheel mounting rails to the brackets. That hardware is included with the 58058 rail kit. If installing used rails to these brackets, Hardware Kit #58430 is required. Sold separately. See Vehicle tab for the complete list of vehicles that this Quick Install Bracket is designed to fit. Reduces installation time by up to 50%.